Aimee Callen and James Bell are sworn in as the board's new members. OSWEGO, NY – In a brief reorganizational meeting July 1, the Oswego school board appointed its slate of officers for the 2016-2017 school year. 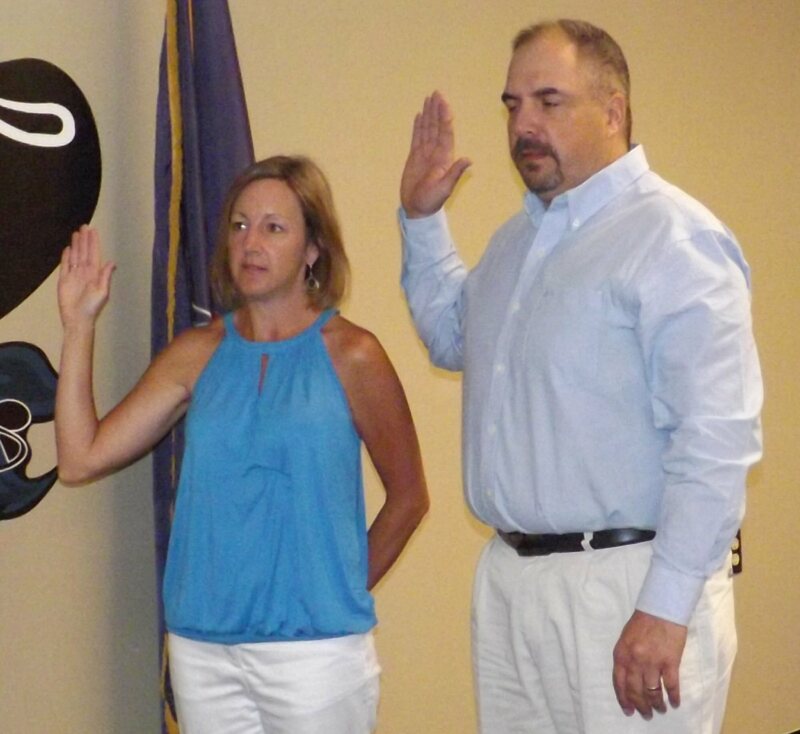 Aimee Callen and James Bell are sworn in as the board’s new members. Lynda Sereno was elected as president. Tom DeCastro was elected as vice president. Prior to the meeting, Aimee Callen and James Bell took the oath of office. The pair was elected to full three-terms on the board this past May. Architect of Records – King & King, P.C. Official District Newspaper – Palladium Times. The first regular meeting of the new board will be 5 p.m. Tuesday in the board room at the Education Center. Three committee meetings will be followed by the regular meeting.